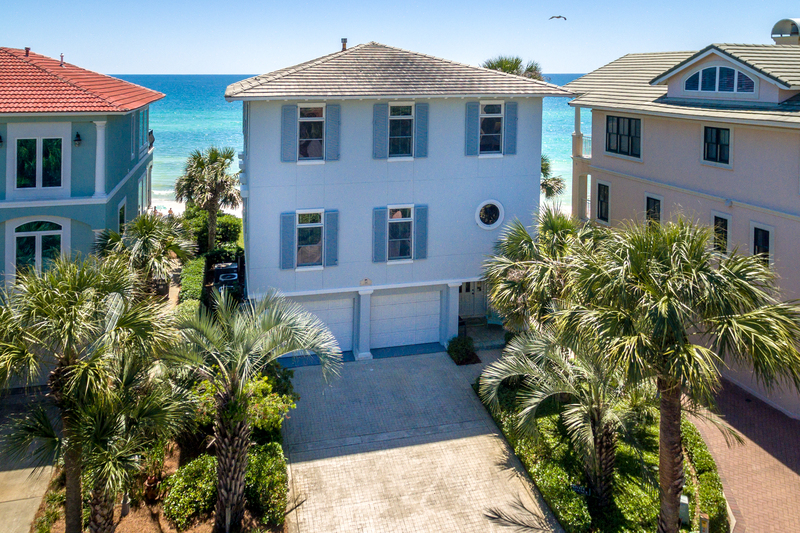 The Beach Group is pleased to announce this 3-story, 4 bedroom beach house with a bonus bunk room that is new to the market south of Scenic Highway 30-A! 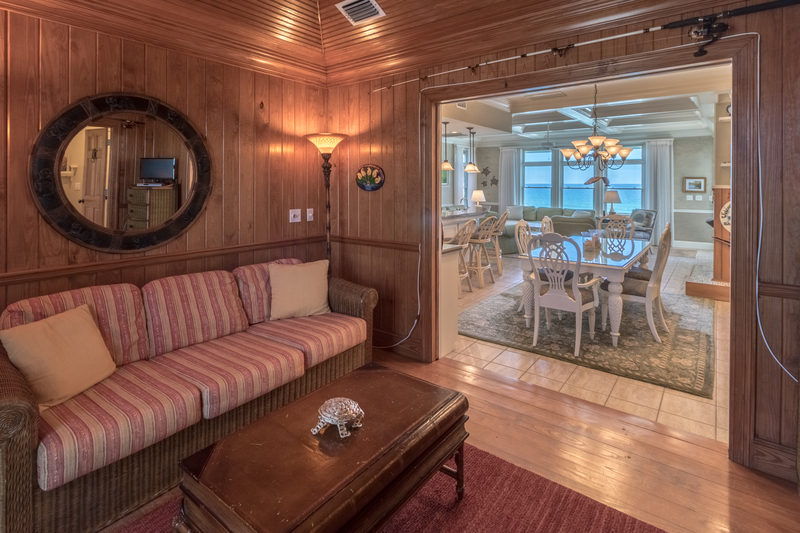 Located in the heart of Blue Mountain Beach, this expansive, Gulf-front beach house was made to entertain guests with separate guest quarters that can be accessed through the home’s expansive two car garage. The second level of the home features an open concept great room meant for gathering, featuring a soaring coffered ceiling and tile floors. 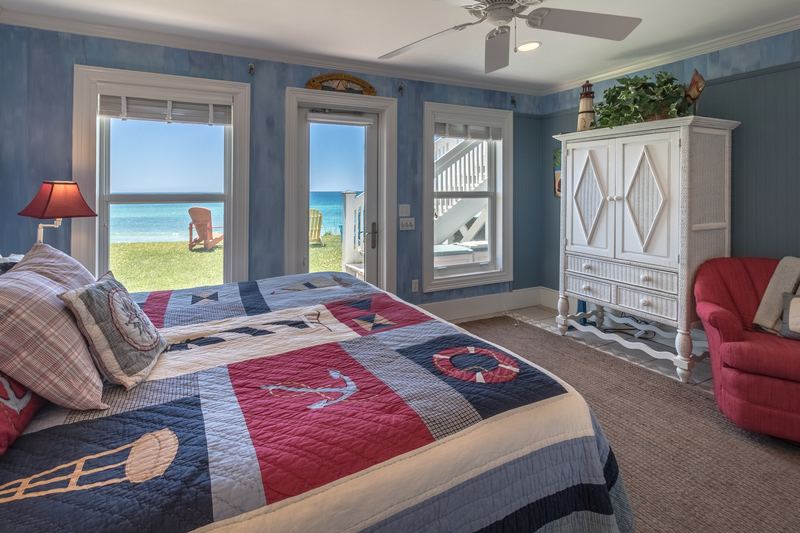 On the second level you can also find a Captain’s study with vaulted ceilings, wood floors and rustic wood paneling that adds a quaint beach cottage feel, as well as, a full bath that’s perfect for guests, a large laundry room with generous workspace, and a convenient dumbwaiter. 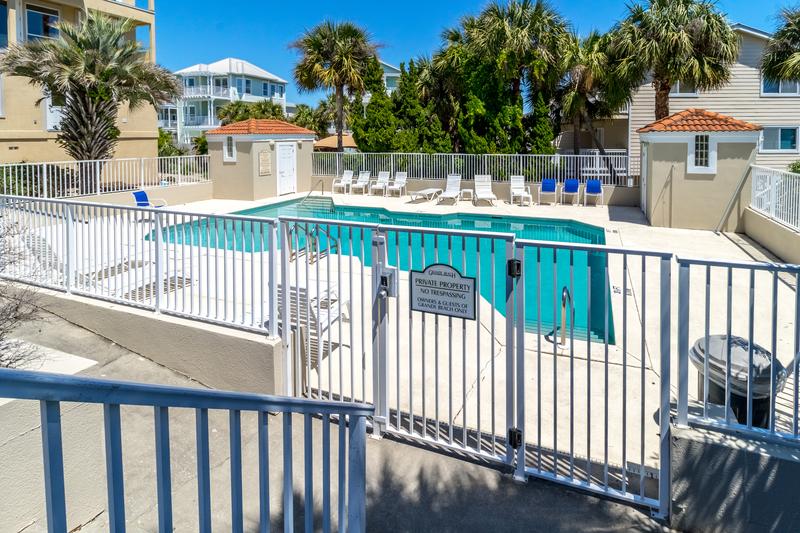 Enjoy the spacious back deck with cozy outdoor furniture perfect for enjoying the scenic sunset views. 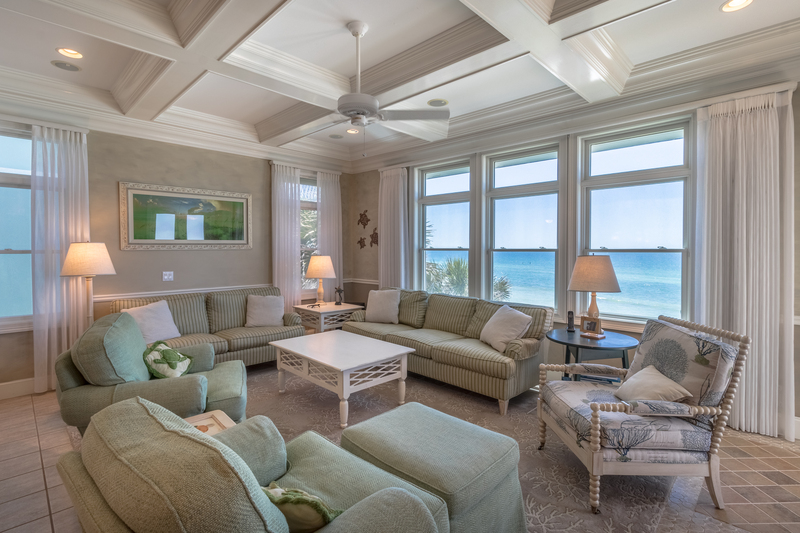 The third level presents a spacious master suite with soaring coffered ceilings and large windows with transom lights that present Gulf views as far as the eye can see. 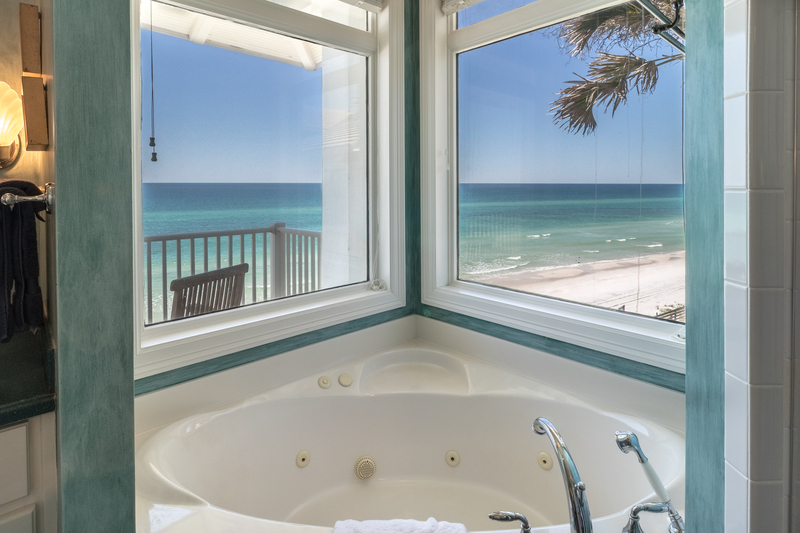 The large master bath offers a jetted tub featuring scenic emerald views that offers the perfect place to unwind. 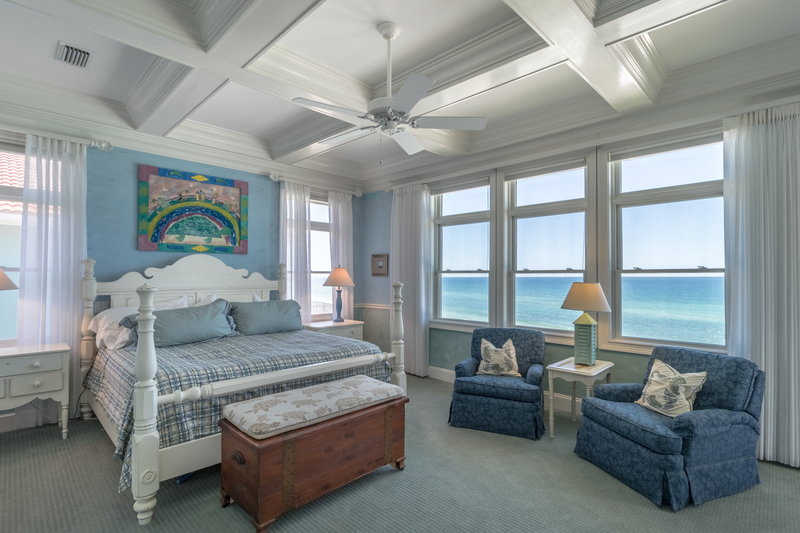 Enjoy the soothing sounds of the Gulf from the master bedroom’s covered balcony. 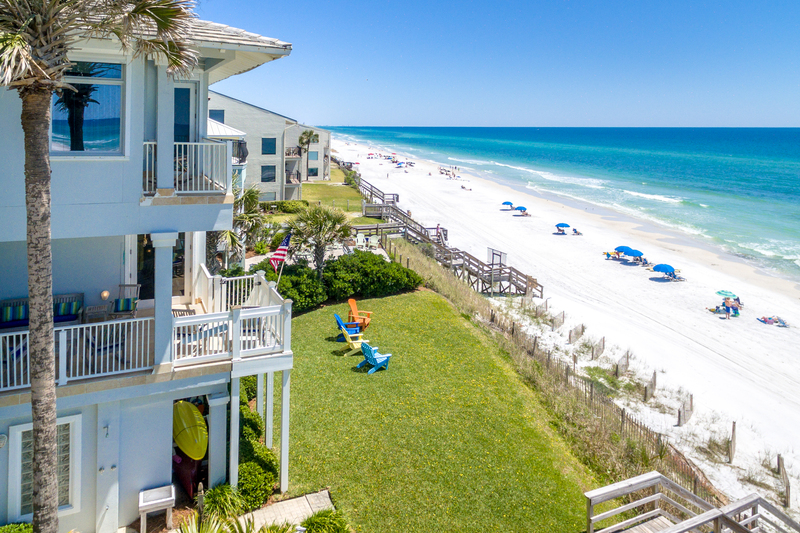 Grande Beach is a beach front community located south of Scenic 30A in the heart of Blue Mountain Beach that is convenient to all of the luxuries of life along 30-A and offers a private community pool. 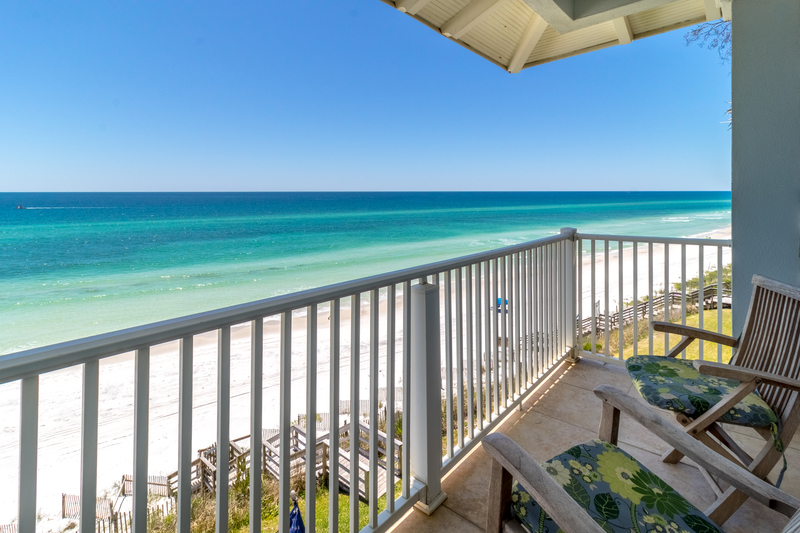 To schedule a showing of this gulf front beach house or for more information, call The Beach Group! 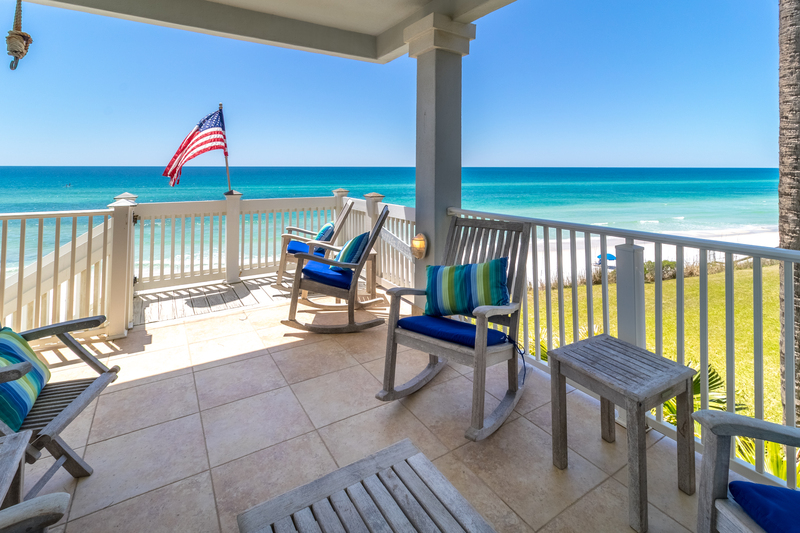 This entry was posted in Blue Mountain Beach, Gulf Front Homes for Sale, Homes for Sale. Bookmark the permalink.